Each rehearsal room has a 1k rig fitted that can be hired during your session. The rig consists of a Yamaha EMX5000-12 powered desk, 2 Yamaha S115V speakers and 3 dynamic microphones. There are also drums, cabs, bass and guitar amps available for hire. Yamaha EMX5000-12 powered mixing desk with 8 mic inputs and 2 on-board FX units. Yamaha S115V Speakers flown from the ceiling in each room. 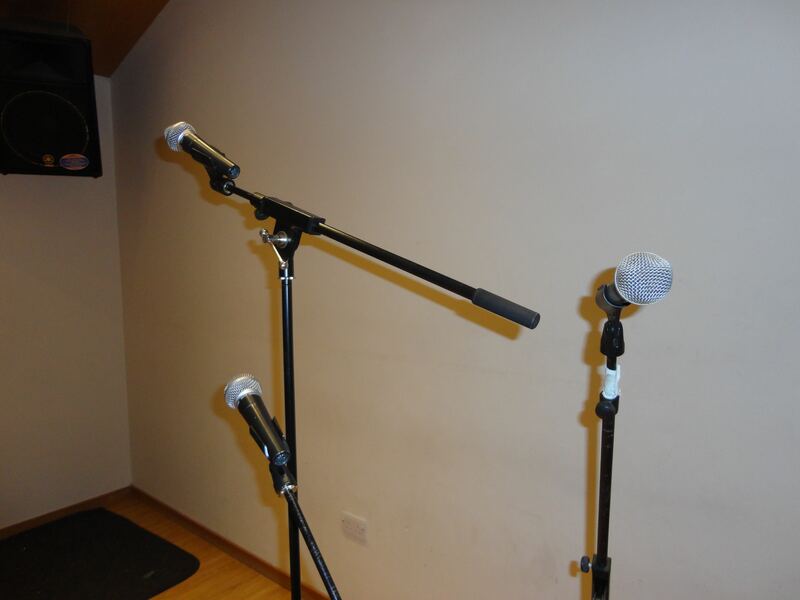 3 dynamic microphones with stands and leads in each room.